"You are the elder sibling born into a Royal family. It was your birthright to inherit the crown upon the King’s death, but an evil secret plan executed by your younger brother and some corrupt castle guards has left you exiled from the kingdom. The corrupt guards were given strict orders to kill you if you ever returned to the castle. When the King and Queen died, your tyrannical brother ran the kingdom into despair. Disgusted by the decline of a once-prosperous and peaceful land, you decide to risk your life to set things right. Disguised as a pauper, you’ve managed to make it back to the castle undetected, and with your knowledge of the secret passages within the castle walls, you’ve made it to the King’s study. In the next sixty minutes, you must now find proof of your birthright and escape undetected before the castle guards return." 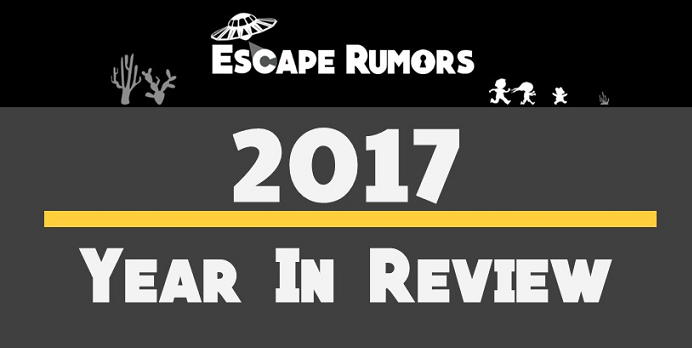 We are proud to present our inaugural Escape Rumors 2017 Year In Review Infographic! We finally escaped, with no hints! 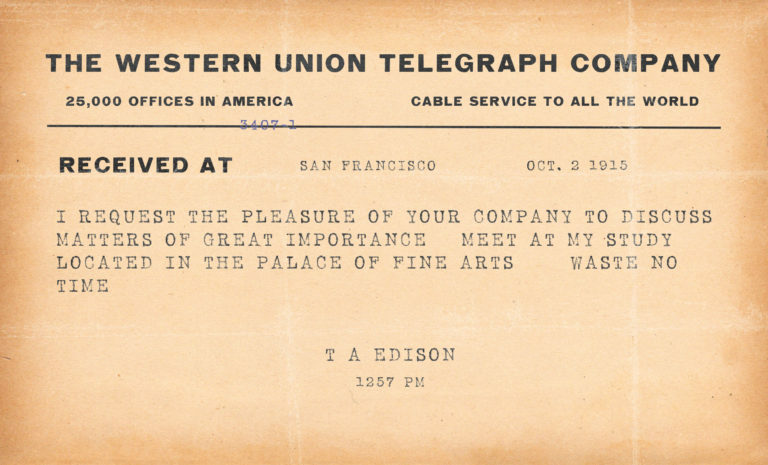 "The Palace Games team recently unearthed this telegram sent by Thomas Edison in 1915 on October 2nd. 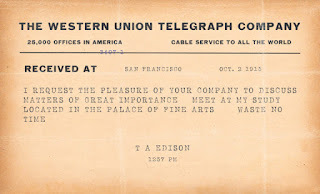 Since the discovery of Edison’s telegram, the Palace Games team has located his study at the Palace of Fine Arts. It is now open to the public. 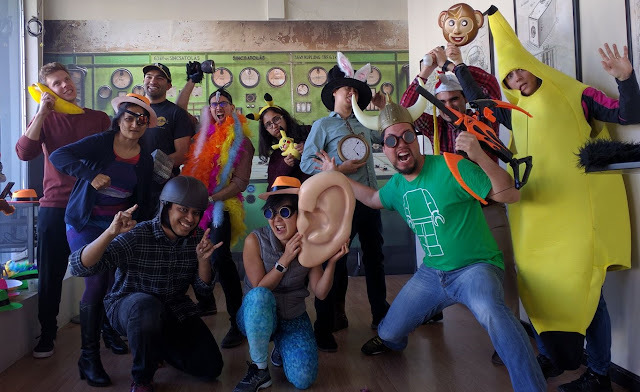 Come play to learn the secret reason Edison built and maintained this special place at the Palace of Fine Arts!